Translate any telephone cable pair to its corresponding color code. Telecom Color Code will translate any telephone cable pair to its corresponding color code or pair number. 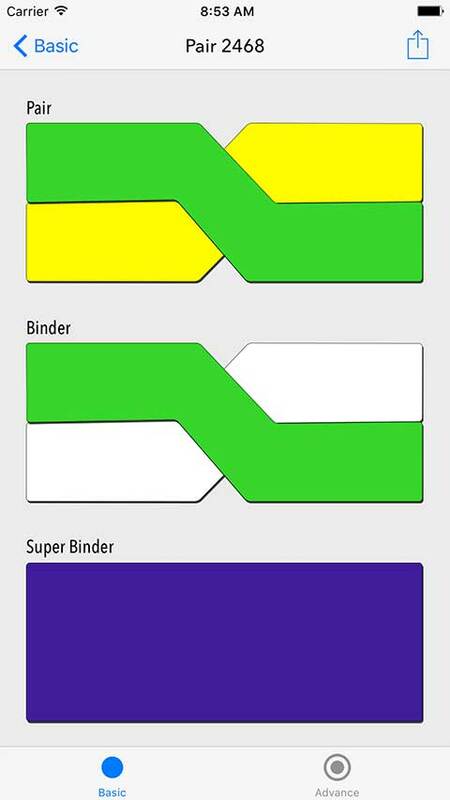 You provide the cable pair and it will quickly display the Pair color, Binder color and Super Binder color. 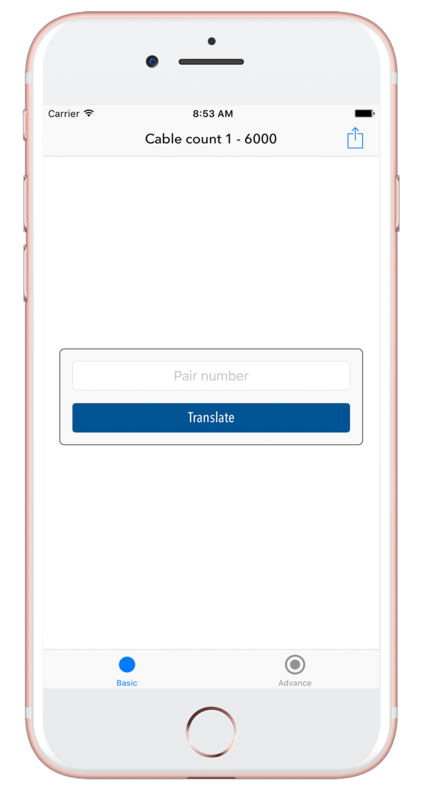 You can also provide the color code and it will give you the pair number. 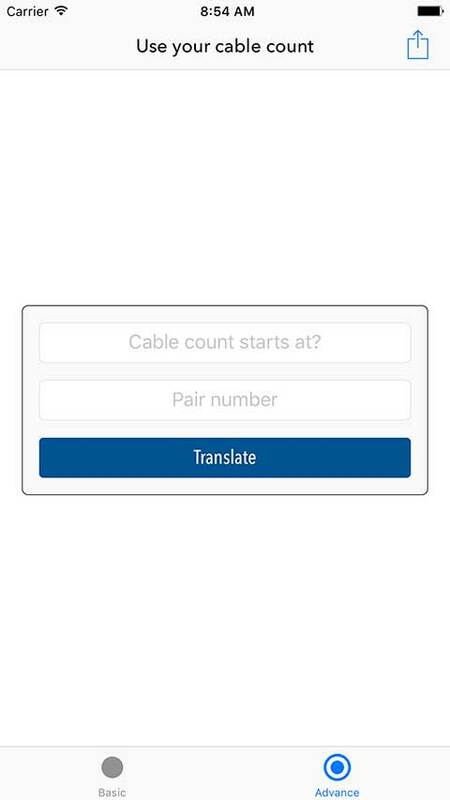 The app not only works with simple cable counts such as 1 – 6000, but also mix cable count. For example, a 1,300 pair cable contains count 1 – 200, 601 – 900 and 2151 - 3000. This often happens when an engineer merges several cables into a single cable. It can be difficult to work with this type of cable because it takes more time to find a cable pair. However, the Telecom Color Code app can provide the color code in an instance. Simple enter the starting cable pair and the end pair number of every count in the cable. Then, enter the pair number you want to find and it will calculate and display the Pair, Binder, and Super Binder color. Enter the pair number you need and get the color code instantly. 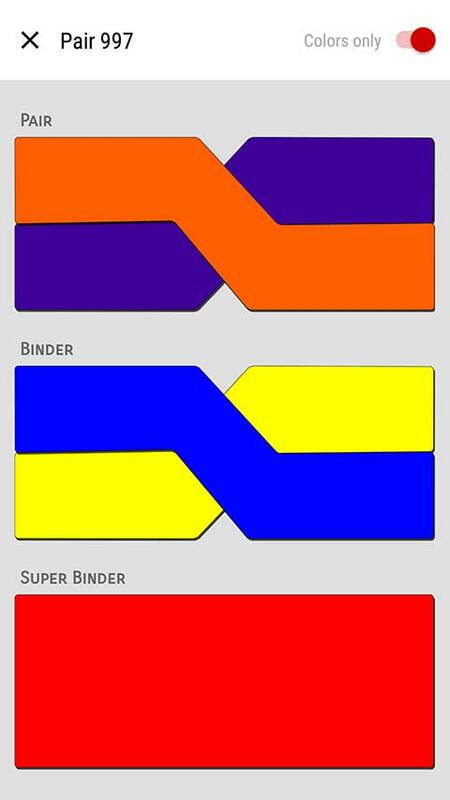 Display the Pair, Binder and Super Binder Color. Includes a quick refernce chart (Android). Simple design, that allows for a unified experience across devices. 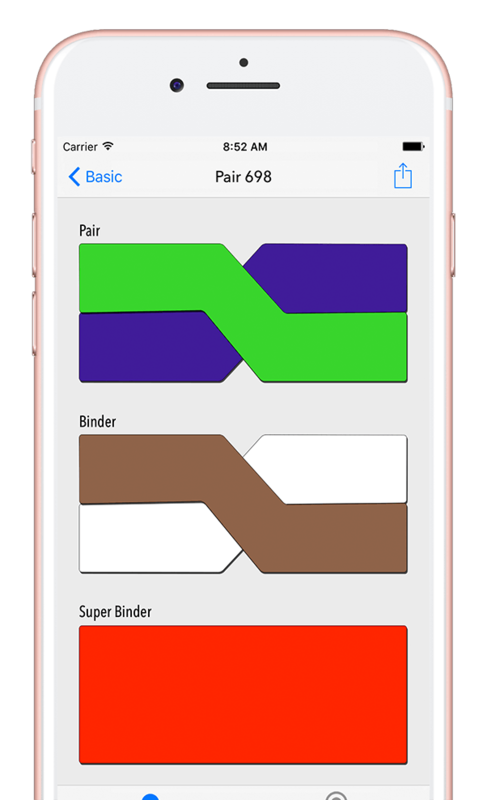 Select a binder and pair color to get the pair number. Cable sizes 1 - 6000 pairs. 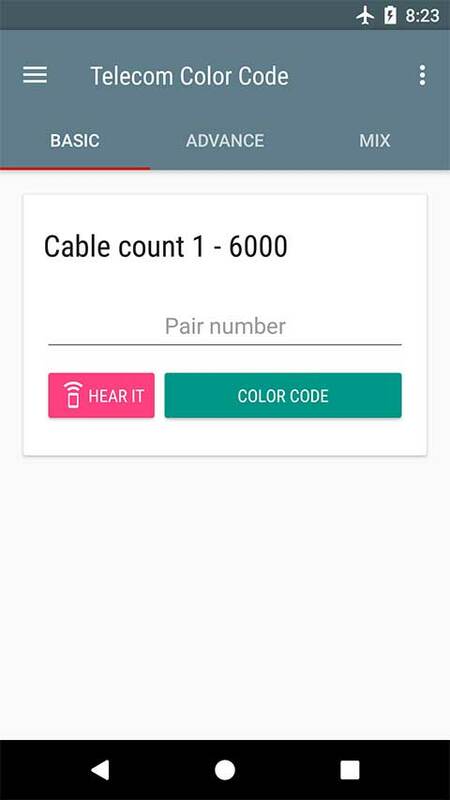 Find cable pairs fast in mix, odd and single count cable (Android). Put away the pen and paper. Get the app and find that pair fast. Can I find pairs in large cables? Yes. The app support cables up to 6000 pairs. What if the cable count doesn't start a 1? You can provide the starting pair of the cable. What information do I need about the cable to use the app? All you need is the pair number you want to find. However, if the cable count do not start at 1, you will need the starting pair. What if the cable count is mix or jacked up? The app work with those counts too. The mix count screen allow you to enter all the counts in the cable. Available on the App Store & Google Play. Subscribe to our newsletter for updates. All contents © 2016 Buknal Enterprise. All rights reserved..